Bear Lake Rd. is open to vehicles, allowing access to all major trailheads, and Trail Ridge Rd. is open up to Many Parks Curve, allowing access to the Hidden Valley sledding area. Rangers are staffing entrance gates to provide maps and information, but there is currently no fee to enter the park. 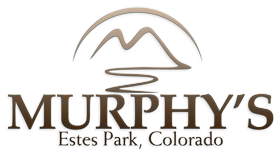 Murphy’s River Lodge in Estes Park, Colorado is nestled alongside the beautiful Fall River. We're also only two blocks from the historic downtown area of Estes Park, a convenient walking distance to all of the unique shops and restaurants our visitors enjoy. Murphy's River Lodge was completely remodeled in 2011 and we continue to make improvements. We're proud to have earned Trip Advisor's Certificate of Excellence Award 7 years in a row and we look forward to having you stay with us!